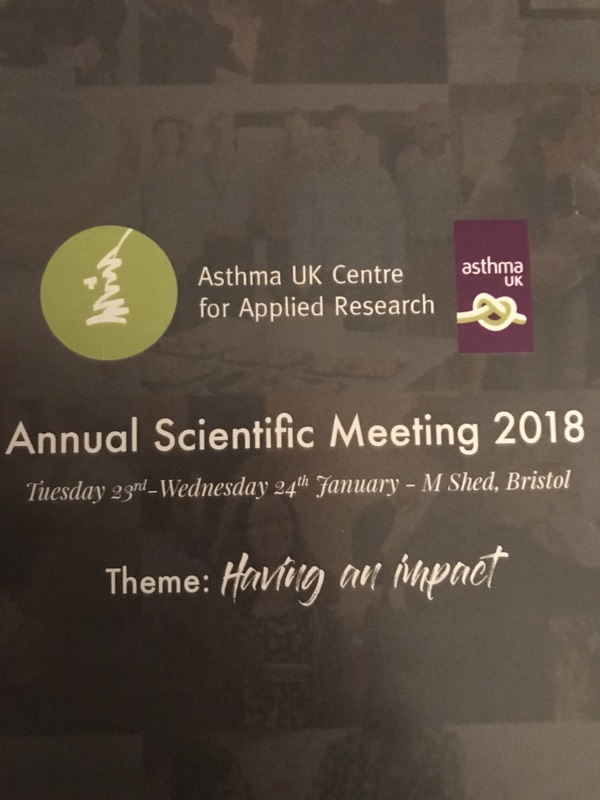 Last week I travelled to Bristol for the Asthma UK Centre for Applied Research annual scientific meeting. I really enjoy these meetings as it is an opportunity to meet other members of the patient and public involvement (PPI) group which I do enjoy. With PPI you do a lot of things fro the comfort of your own home and only on the odd occasion do you get the chance do have face to face meetings so it is great to be able to meet others and share experiences and what projects we have been part of. I am fortunate that living in Edinburgh and being part of the centre management committee I get to attend quite a few face to face to face meetings so know who people are more than others in the PPI group do. This years meeting was focused around what impact that the research the centre has been doing has had on those with asthma. As we are coming near to the end of the 5 years funding it is great to see what has come out from the centre. There has been a huge amount of growth in the centre with a large number of new PhD students starting and more Universities who are affiliated with the centre as well as more researchers to. Seeing this growth instills a sense of hope because for so long there has not really been a huge amount of change in the management of asthma. In fact it was recently in the press that many people in the UK with asthma do not receive the basic asthma care as recommend in the guidelines for the management of asthma. In fact even I don’t have the correct recommendations in place. The three main ones are: a yearly inhaler technique review, a written asthma action plan and a yearly asthma review. I do have the yearly (often more than yearly mote like monthly or weekly at some points) review but I do not have a personal action plan despite asking my consultant for one on several occasions. I have also not had my inhaler technique reviewed- I have had the odd pointer from one of the asthma nurses at the Sick Kids!!! It must be really hard for those who are not as assertive about their asthma or unsure about asthma to have the confidence to ask to have these recommendations put in place. I feel like I am asking a brick wall often. The PPI group were really lucky to have a slot in the ASM to speak and present to all those present at the meeting. 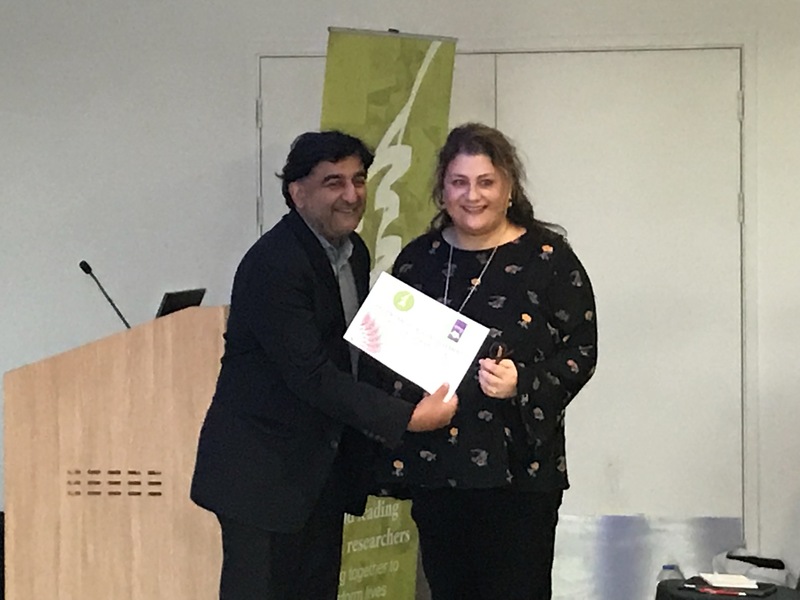 I was able to update on what has been happening in SPEAK Asthma (the children and young persons group within AUKCAR) and the opportunities we have had as a group. The highlight for me being that one boy chose to come to a SPEAK Asthma group session rather than meet the All Blacks rugby team- I know which one I would have preferred!!! It is a really tiring meeting as it is early starts and late nights but I really love going to them and it is so worth it. Being able to be part of such a fantastic community of researchers who are dedicating their lives to improving the lives of people with asthma. The particular part which I can never get over is how we as PPI members are considered as colleagues or equals to all the researchers and members of the centre rather than being a meer patient who is there for a tick box exercise rather than being a valued member of the team. I never feel shy to express my opinion or ask questions when at these meetings. A particular highlight from this meeting was seeing how the PhD students who started their PhD’s at the outset of the centre have progressed and some have even submitted their thesis and only have their final interview to go. Seeing the growth and confidence in them is so rewarding and how passionate they are about asthma but also the impact that the PPI group has had. They are all so grateful for the help they received from the PPI group. 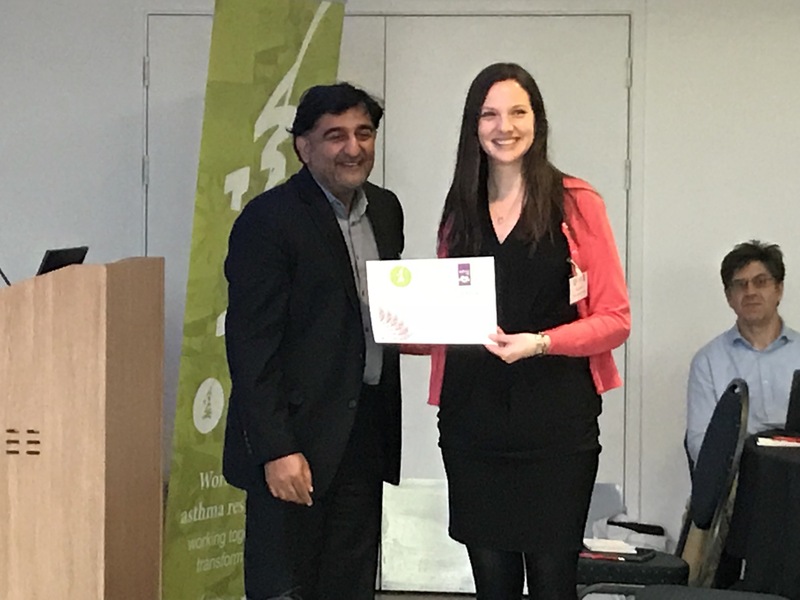 This year we had two awards for excellence in patient and public involvement which were awarded to 2 PhD students who I have had the pleasure of working very closely with so seeing them be rewarded for their efforts is fantastic. They both really understand what PPI is and the value of it to research. There has been a lot of learning to take away from this meeting and tasks I want to do to try and expand the PPI group and give other people with asthma the same opportunities I have had. The impact that research has really does make a difference. This was the focus of the meeting but I looked at impact from a different point of view. The majority of the people at the meeting would be I think looking at impact from how it has changed statistics of asthma, or influenced policy, of helped make a clearer framework for diagnosing asthma. For this impact to be made from research can often take many years. They say it approximately takes 9 years from research being completed to policy being changed. But for me the impact is much more and has happened a lot quicker. The impact is that it has given me hope. The more involved I am and the more research I am able to help with the greater positivity I get about having this horrible disease. For me there has not been a huge improvement if any in my asthma but I feel more positive about having asthma and know that there are so many people working so hard to try and improve life for those with asthma. I think for me the key thing and I cant say it enough is that you can do PPI whenever you want and wherever. One of the AUKCAR members said that they were awake at 3 in the morning and saw my email come in. I often do some PPI stuff if I cant sleep, or when I am in hospital. It does not have to be done in a university or meeting room. It is exciting to see what research will come from the centre in the future and I hope we do get funded for another 5 years so there is chances of real change in asthma care and asthma stats do improve.